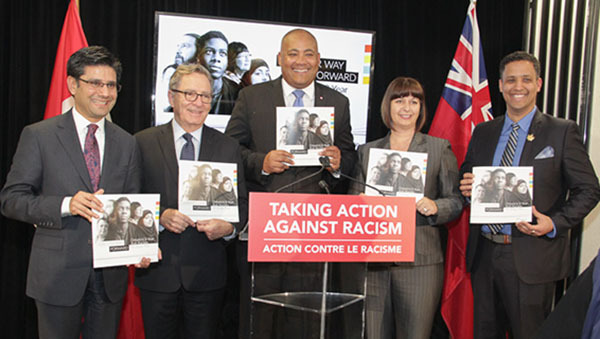 Last week Tuesday, Ontario's Minister of Children and Youth Services and Minister Responsible for Anti-Racism, Michael Coteau (centre), announced the province's "Three-year Anti-racism Strategic Plan". In photo he is flanked by (from left to right): Yasir Naqvi, Attorney General of Ontario; David Zimmer, Minister of Indigenous Relations and Reconciliation; Marie-France Lalonde, Minister of Community Safety and Correctional Services; and Councillor Matthew Green of Hamilton. Missing from photo is Mitzie Hunter, Minister of Education, who was also in attendance. 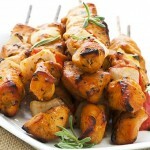 Photo contributed. TORONTO, Ontario March 14, 2017 (PRIDE) — Several African Canadian organizations are lauding the provincial government for “A Better Way Forward:” Ontario’s Three-Year Anti-Racism Strategic Plan, which was announced, last Tuesday, by Michael Coteau, Minister Responsible for Anti-Racism and Minister of Children and Youth Services. 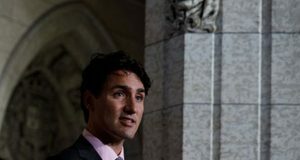 The Jamaican Canadian Association (JCA) and a diverse group of African Canadian organizations, advocates and experts – African Canadian Working Group – have praised the government for taking an important step in addressing systemic racism. Focusing specifically on anti-Black racism, the Anti-Racism Directorate also introduced the Ontario Black Youth Action Plan, which is based on a collective impact model, and an investment of $47 million over four years. “This plan represents the largest single investment in the wellbeing of young black children in the province,” said Coteau. Ontario Premier Kathleen Wynne, left, appears to be engrossed with whatever Minister Coteau is saying to the audience at the announcement of the establishment of the province’s Anti-Racism Directorate, on February 16, last year. It will focus on mentorship for black youth, support for black parents, increased enrolment in graduations and postsecondary education, providing job training and apprenticeship opportunities, developing skills youth need today for jobs of tomorrow. Making the announcement of the strategic plan on March 7 in the Thorncliffe Neighbourhood Office in Toronto, the minister said he will set up a steering committee to bring the community to the table to create sustainable solutions. Coteau noted that the province has reached a critical point with anti-Black racism that it needs to address. Reacting to the news, the JCA says the strategy is a good, first step towards addressing some of the issues and systemic barriers that Black Ontarians and other racialized groups face in navigating institutions and spaces within, and outside, of government. “We’re encouraged by the focus on better understanding the experiences of racialized people through data collection. This will help develop evidence over time about the challenges that we already know exist. 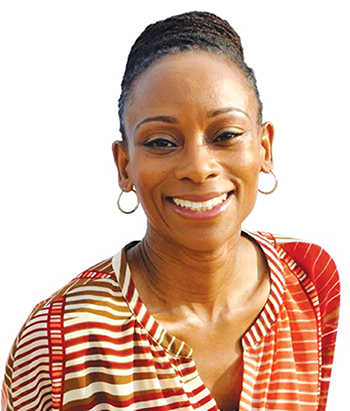 The commitment to developing legislation, public reporting and continued engagement with communities, are also steps in the right direction with respect to accountability and partnership,” said JCA president, Adaoma Patterson. 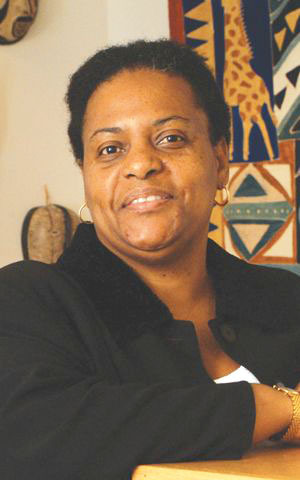 She noted that a deeper focus is needed on some critical issues like health and mental health outcomes, given the absence of adequate supports for Black Ontarians, and the emerging body of research, regarding the impact of dealing with systemic racism on the health and health outcomes of Black people, specifically, and people of colour, in general. “There’s more work to be done, and the JCA Board and membership look forward to working with the government on what lies ahead,” she added. 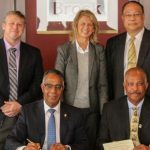 In a press release, the working group of African Canadian organizations, advocates and experts said it is pleased that there is a wide ranging commitment to focus on legislation, disaggregated data collection, research, funding support and specific focus on addressing Islamophobia, anti-Black racism and racism experienced by Indigenous communities across the province. “We applaud Minister Coteau and his team in the Anti Racism Directorate for their hard work and dedication to bringing this strategy to fruition. 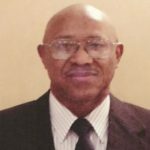 We appreciate the level of complexity and challenges inherent in a process such as this,” says Dr. Winston Husbands, a board member of Tabono Institute — an incorporated non-profit, community-based research, public policy, archiving and capacity building institute — and a member of the Working Group. 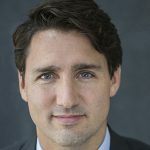 He notes that anti-Muslim attacks, homophobia, anti-Semitism, anti-Black racism and racism against Indigenous peoples have all escalated, alarmingly, over the past decades, confirming Canada’s historical legacy of racism and oppression. 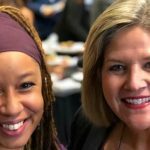 “All Ontarians deserve a province free from racism and other forms of systemic oppression, and we look forward to building on our existing working relationship with Minister Coteau and his team to advance the legislative mandate as well as strategic and operational issues related to racialized people and Indigenous peoples and to the African Canadian community, specifically. We look forward to working in solidarity with all stakeholders in this process,” he added. 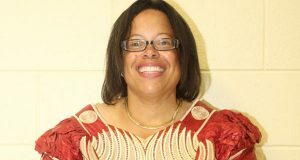 Margaret Parsons, Executive Director of the African Canadian Legal Clinic (ACLC). Photo contributed. 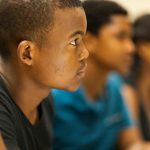 Working Group members are particularly interested in supporting the development of the anti-Black racism strategy and providing input into the direction and unfolding of the Ontario Black Youth Action Plan. “We are wary of these processes, given past experience with similar initiatives. 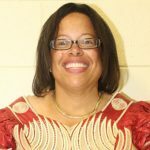 The Ontario Black Youth Action Plan should not be seen as a panacea for the historical, complex, entrenched and multi- layered challenges of anti-Black racism faced by African Canadians in areas like education, criminal justice, health, employment and child welfare,” says Margaret Parsons, executive director of the African Canadian Legal Clinic (ACLC). She said it must be driven by legislation, tied fully in the anti-Black racism strategy, be informed by good data and past similar experiences and be reflected in specific commitments to address root causes and structural issues in the respective ministries and broader civil society. “Most importantly, the diverse African Canadian community must provide full leadership in its development. Some priority areas should be policy, sustainability, specific planning and targets and leadership accountabilities. 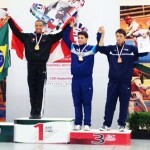 We appreciate that this is a long term process of transformation and rebuilding,” Parsons advised. Working group members expressed some concern that the strategy provided no definitive focus on income inequality and poverty as critical determinants, which exacerbate and compound the effects of systemic racism. The province’s Poverty Reduction Strategy recognizes the significant extent to which poverty is both gendered and racialized in Ontario. Members believe that this strategy provides an opportunity to build on this provincial priority in some “robust and creative ways”. “We cannot forget, in all of this, that members of the African Canadian community who are from the Horn of Africa, in particular, are often further victimized by Islamophobia (including persistent and violent hate crimes) which compounds our situation. So we are pleased to see a focus on these priorities in the plan,” says Mahad Yusef, executive director of Midaynta Community Services. 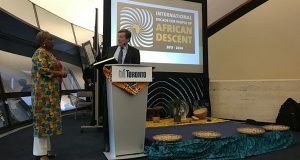 The plan also announced a focus on anti-racism and cultural competence training for employees of the Ontario Public Service (OPS). “This is a much-needed initiative, as for many years, the concerns and complaints of racialized and Aboriginal staff about widespread racism, exclusion, abuse, targeting and mental health issues, lack of safety and toxic work environments within the OPS have gone largely unheeded. There has to be real accountability here, in terms of identifying, naming and addressing workplace racism, clear policy changes, targets for improvement and a changed workplace culture. We look forward to these developments,” says Sophia Brown Ramsay, coordinator of the Black Community Action Network of Peel. The province is to begin a pilot program collecting disaggregated race-based data in the ministries responsible for justice, education, child welfare and health. “This is a promising start and needs to be part of a larger process of anti-racism planning, robust legislation, concrete action monitoring and measuring specific, targeted changes in these areas with the respective ministers being held responsible. Although we represent a little more than 4% of Ontario’s population we continue to be significantly and negatively over-represented in our relationship with these sectors. This continues to be deeply alarming for the African Canadian community. A good place for dialogue, reporting, accountability and ensuring adequate community input and engagement might be the annual anti-racism conference being proposed,” says Dr. Jennifer Clarke, professor of child care, researcher and advocate. The working group members also call on Premier Kathleen Wynne to ensure that there is strong, consistent, committed and accountable anti-racism leadership and improved outcomes for African Canadians and other stakeholders — from across all provincial ministries and agencies, but particularly from ministers directly responsible for the priority portfolios: attorney general Yasir Naqvi; Mitzie Hunter, minister of education; Dr. Eric Hoskins, minister of health and long term care and; Michael Coteau, minister of children and youth services. 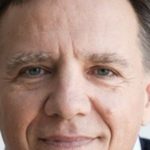 Irwin Elman, the provincial advocate for children and youth, said the Office of the Provincial Advocate for Children and Youth welcomes the provincial government’s three year strategic plan, focusing on reducing the barriers and disparities faced by racialized people across Ontario, including Black, Indigenous and other racialized communities. 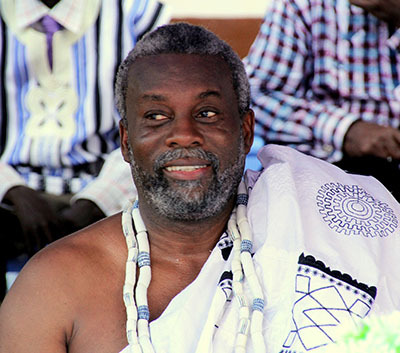 Nene Kwasi Kafele, chair of Tabono Institute. 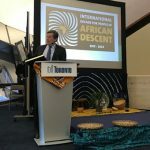 “We will continue to partner with the African Canadian Working Group — including young people in that community — to acknowledge the historical legacy of slavery, colonialism, and the ongoing struggle against racism, and work toward creating a fair and equitable province for the African Canadian community and other racialized communities,” Elman said. “A Better Way Forward” will see the government take concrete steps to end systemic racism in institutions through four priorities. It will strengthen policy, research and evaluation by collecting better race-based disaggregated data, and develop a method for applying an anti-racism perspective to decision-making at an early stage to prevent systemic racism from taking root. 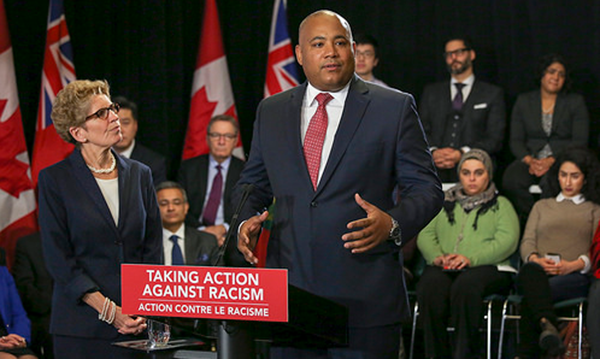 “Secondly, we will ensure sustainability and accountability, so we will do this by introducing Ontario’s first anti-racism legislation in the spring and, if passed, this legislation will ensure future sustainability and accountability for government’s anti-racism work by providing a framework for government and community organizations to identify and dismantle systemic racism,” said Coteau. The minister said they will also commit to be as transparent as possible and will share the progress of this work and how it helps to improve peoples’ lives. The annual progress report will reflect the ongoing collaboration with indigenous and racialized communities, ministry partners and government institutions on the initiatives and target this plan. 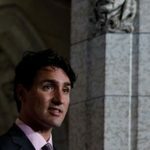 He noted that the Anti-Racism Directorate also commit to targeted public education and awareness initiatives to address specific racism, like the urgent need to target Islamophobia, given the tragic shooting at a mosque in Quebec and the rise of Islamophobia since September 11, 2001 around the world. 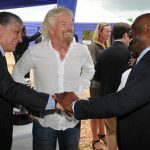 The final commitment is to continue to work closely with partners and the community. 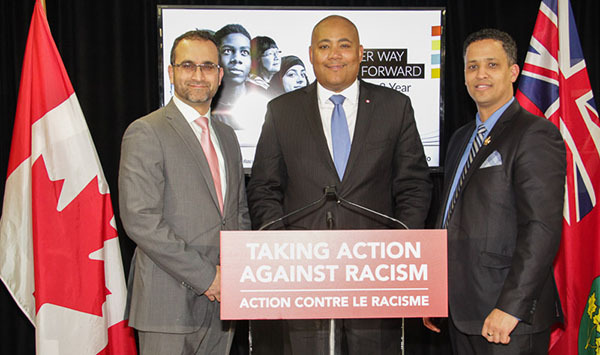 Seen at the launch, Michael Coteau, Minister Responsible for Anti-Racism, is flanked by (from left to right): Ihsaan Gardee, Executive Director, National Council of Canadian Muslims; and Matthew Green, Hamilton City Councillor, Ward 3. Minister Coteau noted that a year ago, the Anti-Racism Directorate was established and as minister he was appointed with the mandate to evaluate the state of racism in Ontario, and to do something about it. “So we travelled right across the province of Ontario, we listened to thousands of people share their stories, heartbreaking experience of how racism has impact their life,” he said. “So we know that racism is hurting our people, it’s hurting our children, it’s hurting our youth, our communities, our neighbours and our province. 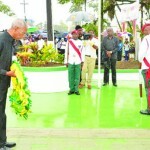 And our government is ready to take responsibility and to make change,” he promised.